The following includes some affiliate links, which help support my book habit. Have you read about The 5 Love Languages ? It's a great book that really helped Chris and I understand each other much better. Basically, it says that we tend to express our affection for others in 5 different ways and helps us recognize ways that our spouse is saying "I love you", that we might have missed before. It also helps us realize how our spouse needs to hear "I love you" in order to really get it. For instance, Chris' love language is Acts of Service. He says "I love you" when he takes out the trash, brings me coffee, or puts away my laundry. Mine is Gifts. I say "I love you" when I can't resist grabbing his favorite candy bar while waiting in the check-out line or when I secretly save up to buy things on his ThinkGeek wishlist. For the first several years of our marriage, these different langauges left us both stumped. He rarely bought gifts. He would stop by the store and grab himself a Dr. Pepper and come home with nothing for me. It floored him that this left me feeling unloved. I am a terrible housekeeper and would scurry to clean when company was coming, which left him feeling unloved because I didn't put that much urgency into cleaning for him. One of us was speaking French and one of us was speaking German and neither of us heard the other saying, "I love you" in our language. Again, it's a great book. I highly recommend it. It is helpful for marriages and any relationship, really. For a quick idea of what your love language might be, try an online quiz. 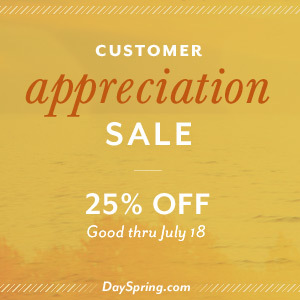 On a completely different note, Dayspring is having a Customer Appreciation Sale- 25% off! I love this site. I used to think it was an old lady site, good for school fundraisers and little else. Maybe it was once-upon-a-time, but now it is a cute catalogue with lots of goodies that I love. Maybe I'm turning into an old lady; maybe it really is that awesome. With a love language of gifts, I should be imagining all the people I could buy these things for, but instead, I just keep thinking of how nice these things would look in my house. For instance, with our house renovation, my new kitchen colors are white, turquoise, and red. Wouldn't these look adorable in my kitchen, sitting on white, open shelves? 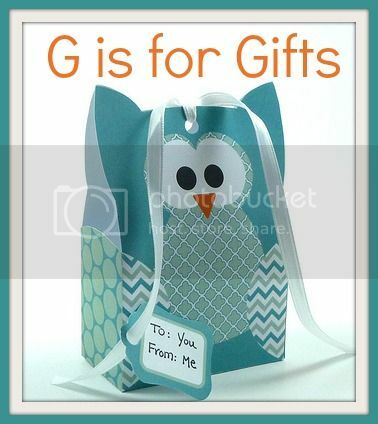 Cute library bags for the kids? $2.47 - 25% off = $1.86 for all 3!!! Do you see why I love this store? Be sure to check out the clearance items and the sections called Our Favorite Gifts! and Shop New Arrivals!